For most teenagers, pushing back against high school rules they deem overly restrictive gets them a visit to the principal or a lunchtime detention. But for one UW-Eau Claire student, a high school conflict that she now describes as an “exciting blocking battle” led to a whole new plan for her future and an opportunity to inspire other women to enter the male-dominated computer science field. Several years ago, Hannah Borreson was frustrated when administrators in her high school included YouTube on its list of restricted websites. With no internet access at home, the Whitehall native says she and her classmates were determined to find ways around the restrictions at school so they could access learning resources that existed on some of the blocked websites. “We worked to make and find VPNs that could surpass these security measures, and when a teacher needed to use a blocked website, we would help them get the resources they needed,” says Borreson. “Eventually, YouTube was whitelisted along with other educational sources. Working with her high school teachers, she created an after-school programming club. Her senior year, she and her math teachers together designed the high school’s first programming class. As her high school graduation approached, Borreson realized she had a new problem. While she always planned to go to medical school, computer science now also seemed like an intriguing career option. Now a junior at UW-Eau Claire, she’s more certain than ever that she is exactly where she should be. Computer science is the right major and UW-Eau Claire is the right college for her, she says. “The most interesting part of computer science is that it can be used everywhere,” Borreson says. “Now that I’ve started programming projects, I can see how I can make projects to help myself and others do everyday activities using technology. While her future is bright, Borreson says there have been plenty of obstacles to overcome. For example, she was diagnosed with epilepsy while in high school, leaving her unsure if college was even an option. “Just having the physical ability to come to class and participate brings me immense joy,” Borreson says. Also, growing up in a rural area with much more limited access to technology than many of her peers put her behind her classmates before she even got to campus, Borreson says, adding that she didn’t even fully understand what it meant to be a computer scientist when she declared it as her major. Her biggest challenge, however, has been being a female pursuing a degree in a male-dominated field, Borreson says. Knowing that the field of programming was started years ago by women is motivating, Borreson says, explaining that until World War II programming was considered more secretarial work than science. After the war, men entered the field, and eventually education and other opportunities were designed to heavily favor men, pushing women out, she says. By the 1960s, advertising campaigns began promoting stereotypes of computer scientists and gamers that further discouraged women from entering the field, she says. 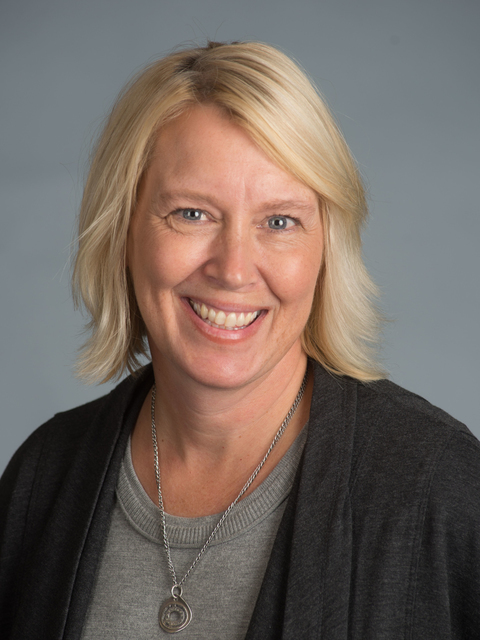 As an accomplished Blugold, Borreson already is pushing back against those stereotypes, showing other women that they are wanted and needed in computer science. Computer scientists are in high demand and positions pay well, which is even more reason for women to consider programming as a career, Borreson says. 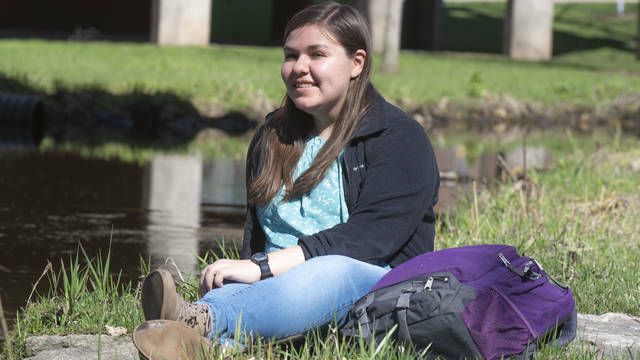 While she initially struggled as a female in the mostly male academic program, Borreson says she eventually connected with other students in the major, whom she now counts among her closest friends. She also found a mentor in Dr. Heather Amthauer, an assistant professor of computer science. While Amthauer stands out because of her gender, all the computer science faculty have been encouraging and supportive, creating innovative opportunities for her and other students that go beyond what UW-Eau Claire traditionally offers, Borreson says. For example, Borreson is part of a four-student team of computer science majors that finished 25th out of more than 3,250 teams in a national cybersecurity competition. The computer science department created opportunities and offered support that enabled the student team to be part of the competition. The competition helped them hone their skills, but also allowed them to make important professional connections in the cybersecurity world, she says. Borreson also is part of a student team that is helping UW-Eau Claire launch a cybersecurity lab on campus. The students working in the lab will help identify and resolve weaknesses in the university’s information systems, giving them real-world experiences as they protect university resources — experiences that will position them to be successful in the booming cybersecurity field. Like her cybersecurity teammates, UW-Eau Claire’s computer science community is filled with interesting people who are anxious to accomplish big things, Borreson says. 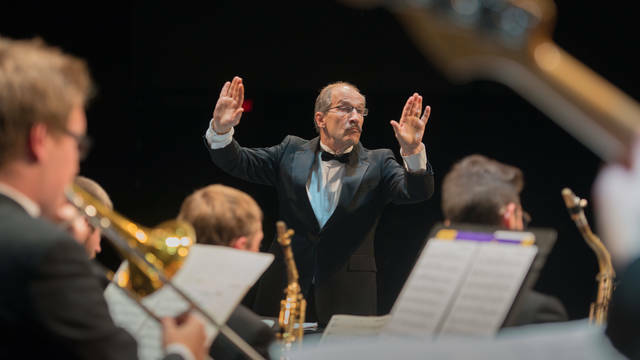 “I’m amazed with how intellectually involved everyone is, and how their abilities don’t just stop at being able to program applications and manage databases,” Borreson says. “Many of us have extra engineering skills and have plans to use those skills to make things that go beyond just programming. When she graduates next year, Borreson hopes to, in a sense, return to her roots. Among her goals, she says, is to use her degree in a way that will help support rural areas like the town where she grew up. Hopefully, she says, those opportunities will inspire future generations to see that regardless of their gender, race or sexual orientation, there is a place for them in the computer science field. “As someone who is a medical and a gender minority in computer science, I can say that even if people do come across barriers, they should see them as opportunities that can make themselves into even better programmers,” Borreson says. 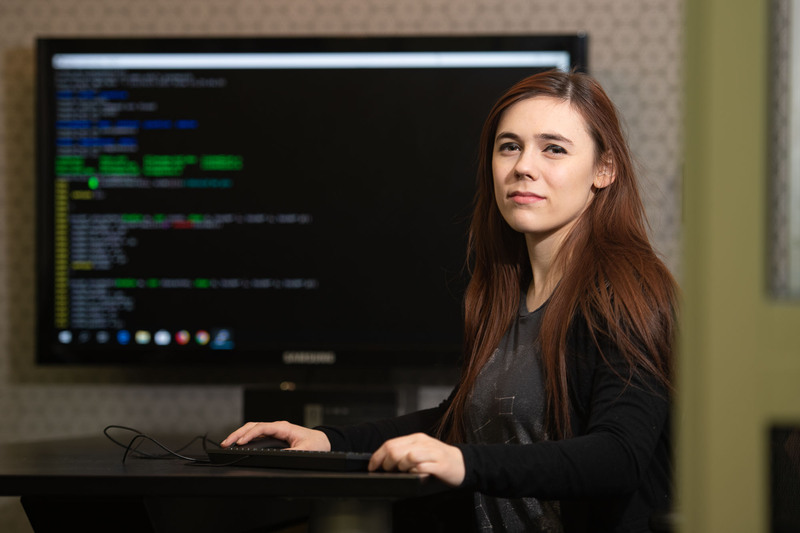 Photo caption: Hannah Borreson is finding success and opportunities as a computer science major.